The Hub Review: This is like shooting fish in a barrel . . . This is like shooting fish in a barrel . . . 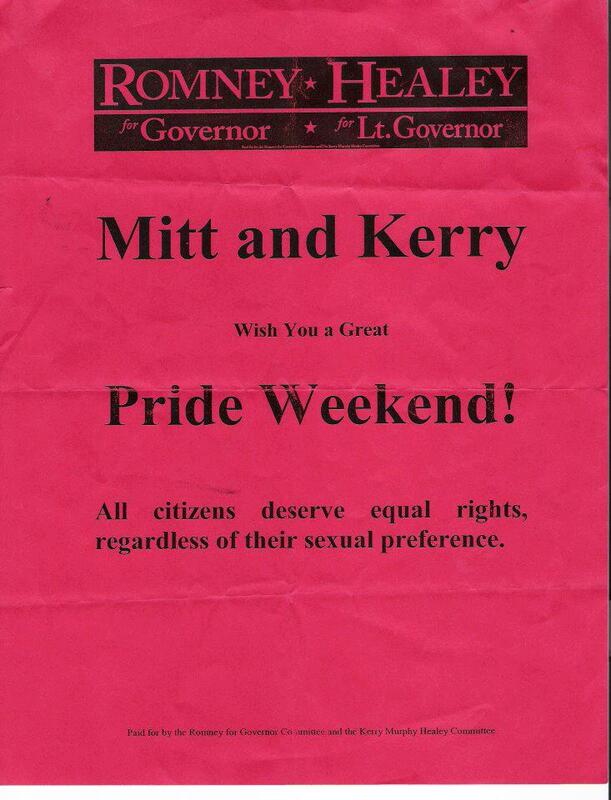 But here's another hilarious Romney lie making the rounds - a pink flyer handed out at 2002 Gay Pride, offering then-gubernatorial candidate Mitt Romney's wishes for a "Great Pride Weekend!" 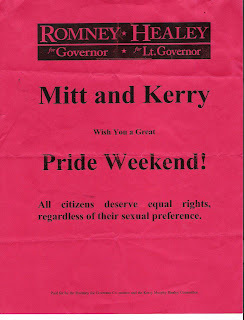 and asserting that "All citizens deserve equal rights, regardless of their sexual preference." Ah, well! That was then, this is now . . .